Grab your hook and yarn and learn new crochet techniques! Do you want to take your crochet projects from good to great? We’re here for you! Each issue of I Like Crochet features several how-to articles from your favorite designers and crochet experts. We learn something new with every issue, too. There’s so much to know about our beloved craft—it’s a life-long learning opportunity! One of our favorite magazine features is “Too Cool for Stitch School,” where we go deep with techniques and stitch patterns and how to work them. One of the most popular tricks is the Magic Loop. 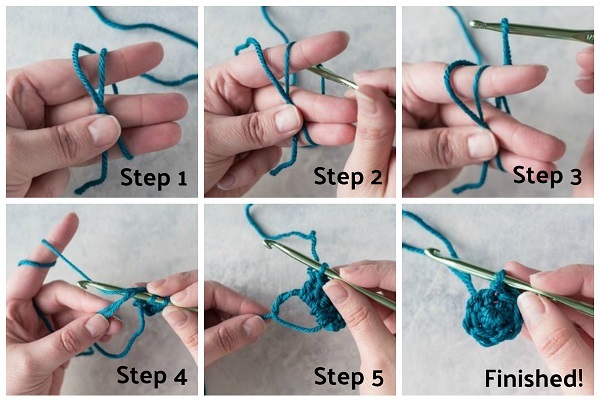 This little loop is the best way to begin a circular crochet project, such as amigurumi, where you don’t want there to be a hole at the start of the pattern. It really is magic! Learn how to master this technique in 5 easy steps. Isn’t that great? 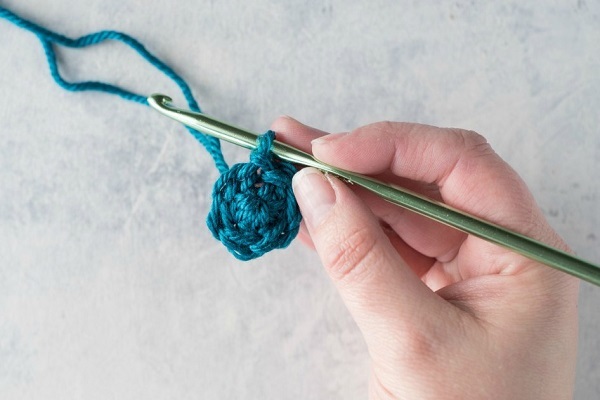 And we have MORE crochet tips and tricks to make you a better crocheter! Inline vs Tapered Crochet Hooks: Which is the best crochet hook for you? Discover the answer as we debate this age-old topic. Crocheters all have their preferences as to which hook feels better. “This hook holds the yarn better!” “This one puts less stress on your wrist! “This hook helps you maintain a consistent tension!” Someone new to crochet could go crazy reading the pro/con lists before choosing a hook. Let us demystify it for you—learn why some people prefer one hook over the other. The crocodile stitch is used in all kinds of patterns, from toys to shawls to home décor. The pretty scallops dress up any project, and when you want texture, it’s just the thing. This stitch is especially great for making “feathers” on stuffed toys. The crocodile stitch is made up of a series of double crochets worked into the post stitch—while it might look intimidating, once you’ve mastered it, you’ll love incorporating it into your crocheted pieces. 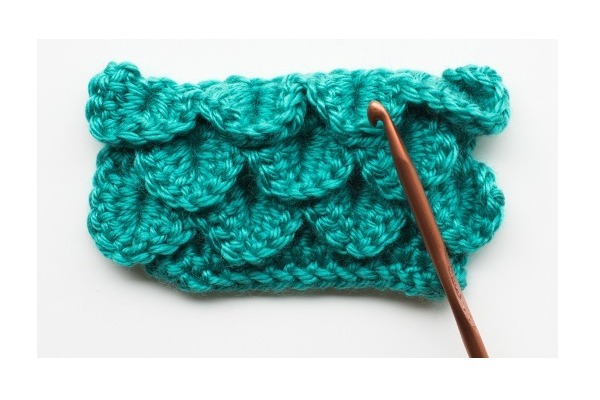 You’ll definitely want to check out our crocodile stitch tutorial! 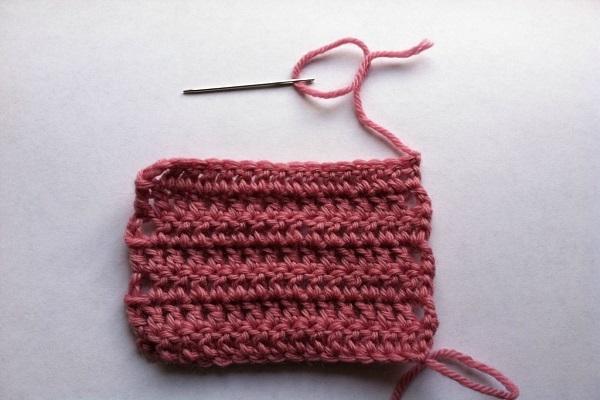 From beginning to finishing, stitch your way to better crochet! 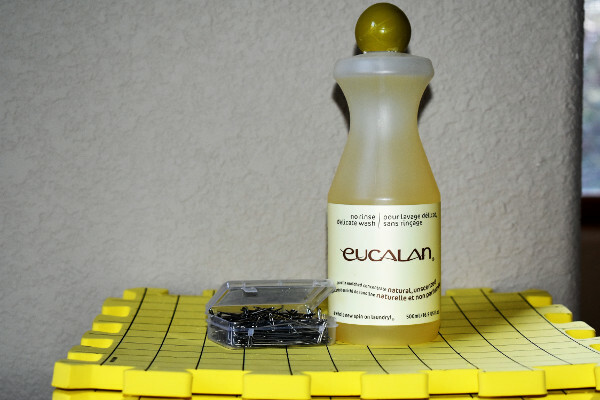 Tame those loose ends! Finishing can really make or break a project, and weaving in those pesky ends is something that we don’t love to do, but we have to do it. Amanda Saladin teaches you 4 ways to weave in ends quickly and easily. Achieve the professional finish you deserve. Nothing is more frustrating in the land of crochet than putting a lot of time, effort, and materials into a garment and having it wind up with a poor, unflattering fit. Expert Mary Beth Temple helps you get the perfect fit in Making It Fit: Adapting Crochet Patterns for Plus Sizes. Bulky scarves are super cozy, but sometimes the style quotient isn’t as high as we want it to be. 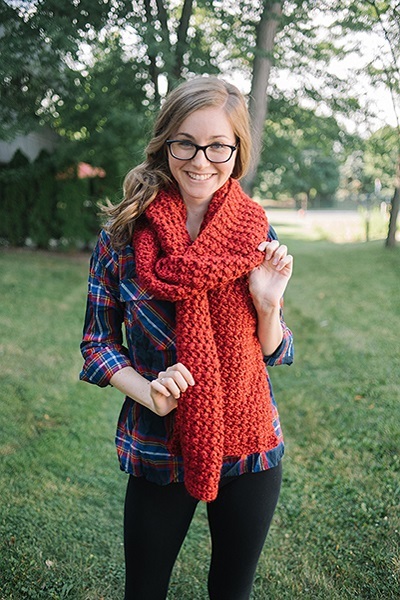 I Like Crochet comes to the rescue with Super Scarf Style: 6 Ways to Wear a Bulky Scarf. Turn one scarf pattern into a whole closet of scarves, simply by twisting and turning it in different ways. After spending countless hours crocheting, you want make sure your hot-off-the-hook items are in the best position possible for a long beautiful life. In her tutorial, Four Simple Ways to Store and Care for Your Crochet Wear, Arica Presinal shows you how to make your precious crocheted items last for years to come. Level up your crochet skills with tips, tricks, and tidbits from the experts at I Like Crochet!